Russia has sent its advanced, super-maneuverable Su-35S multirole fighters to Syria to test the brand-new aircraft in a combat environment for the first time ever; aviation experts explain what makes the warplanes so unique. The Russian Defense Ministry has confirmed that advanced, super-maneuverable Su-35S multirole fighters have begun their combat mission in Syria. More likely these warplanes will be used as cover for SU-24 bombers which make airstrikes on Daesh fighters in Syria, the mission is similar to that of Sukhoi SU-30SM jets, according to aviation expert Vladimir Karnozov, who works for the online magazine Aviation Explorer. “It is important to note that the Su-35S is a single-seat fighter, while a two-seated warplane is better for airstrikes. 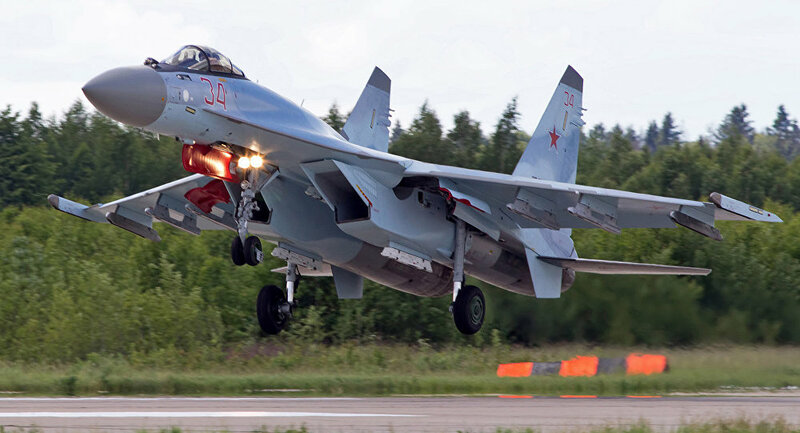 It is highly unlikely to be used as a striker but rather to patrol the skies,” Gazeta.ru quotes him as saying. The new fighter is armed with a 30 mm autocannon GSh-301 with a rate of fire 1,500 rounds per minute. It can carry air-to-air missiles, anti-ship and anti-submarine air-to-surface cruise missiles, and guided bombs. The armament layout is what differs a fourth-generation fighter from that of a fifth-generation fighter, the expert says. The Su-35S falls short on two parameters, thus it is defined as a Generation 4++ fighter. “Fifth-generation jets have a number of technological advantages over the fourth-generation jet fighters. The fifth-generation warplane, unlike the fourth-generation, can carry both sling-loaded weapons and weapons stored in internal weapon bays. Secondly, it may cruise at supersonic speeds without using engine afterburners, you can hardly do it with sling-loaded weapons,” Karnozov explains. The Su-35 radar system can detect targets at distances of up to 400 kilometers, as well as track aerial targets and engage up to eight of these targets simultaneously. Sukhoi Su-35S owes these capabilities to its new Irbis phased-array radar control system. The state-of-the-art system enables the Sukhoi Su-35S to quickly detect and simultaneously track up to four ground targets or up to 30 airborne targets, as well as engage up to eight airborne targets of the same time. Additionally, the radar control system has a friend-or-foe identification capability for aerial and maritime objects, is capable of identifying the class and type of airborne targets and can take aerial photos of the ground. The system can be used in any weather at any time of the day, and remain effective in the face of interference, either natural or organized by the enemy electronic warfare systems. An oscillator with peak power output of 20 kW used in the passive phased array radar makes Irbis the most powerful radar control system in the world. This puts the Sukhoi Su-35S radar system on par with the best state-of-the-art international designs, and ahead of most US and European active and passive phased array radars. 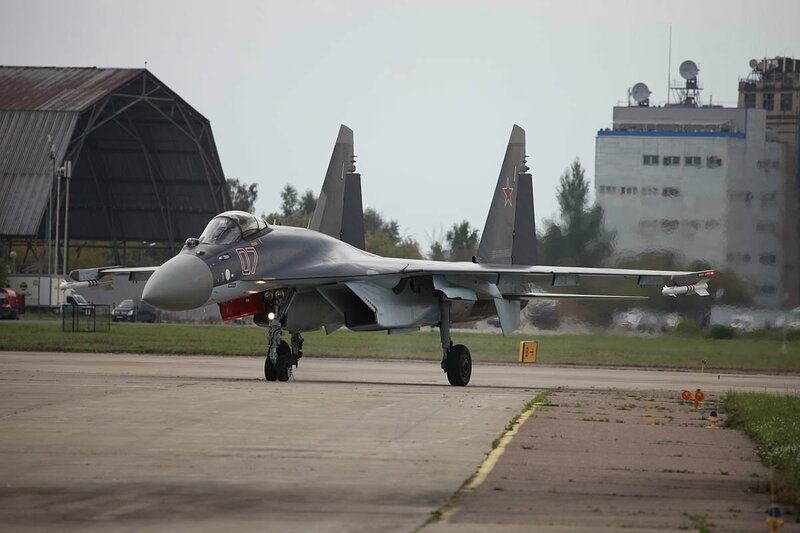 The Su-35S, which are being sent to Syria, are also equipped with a state-of-the-art radio electronic warfare system. 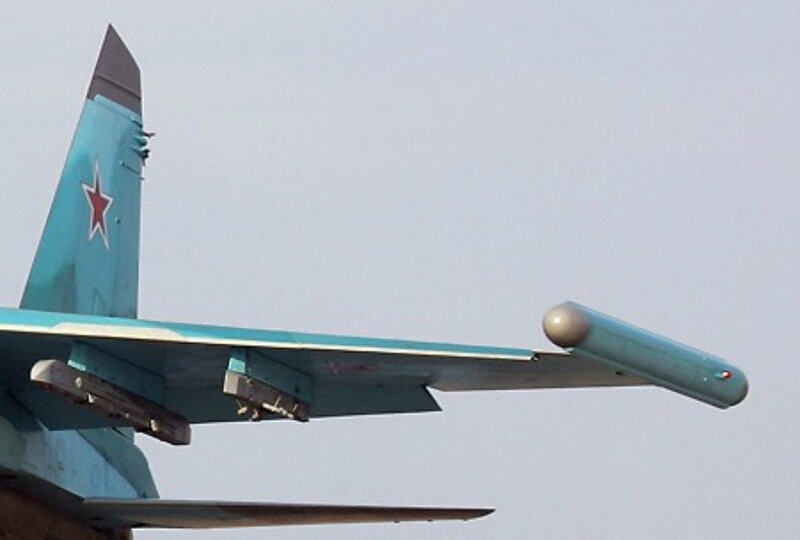 This relatively small container in the shape of a torpedo is mounted on the wingtips of the aircraft and makes the jets invulnerable to all modern means of defense and enemy fighters. After the crew receives a missile attack alert, Khibiny comes into action and covers the fighter with a radio-electronic protective hood, which prevents the missile from reaching the target and makes it deviate from the course. 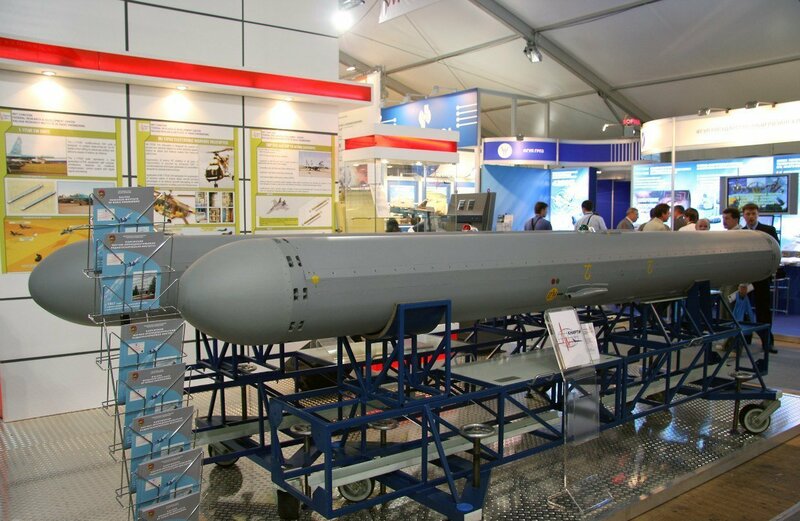 Khibiny increases the survivability of the aircraft by 25-30 times. The above system was mentioned in reference to the infamous incident with the USS Donald Cook in the Black Sea which occurred on April 12, 2014. The relatively small container in the shape of a torpedo is mounted on the wingtips of the aircraft. Back then, media reports suggested that the Russian Sukhoi Su —24, equipped with the newest jamming system, had paralyzed in the Black Sea the most modern American combat management system, Aegis, which was installed on the destroyer USS Donald Cook. Use of high-thrust engines is another significant factor which differentiates the Sukhoi Su-35 from its predecessor, the Su-27. The new engines were developed by NPO Saturn, a UEC subsidiary, and are known under the designation 117S. The new engines are essentially a significant upgrade of production AL-31F engines, with fifth-generation technologies used in the upgrade. The upgrade has increased the engine’s thrust by 16% to 14,500 kgf with afterburners and to 8,800 kgf maximum dry thrust. The engine has a significantly improved expected life (by a factor of 2x – 2.7x) compared to the AL-31F: from 500 to 1,000 hours between repairs (and to 1,500 hours running time before the first overhaul), with the total expected life increasing from 1,500 to 4,000 hours.